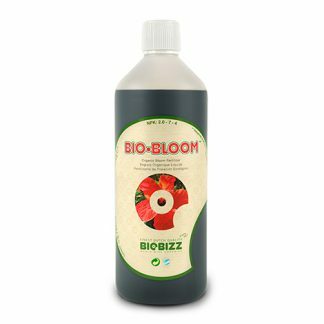 BioBizz Fish-Mix has always been a loyal friend to gardeners because it conditions substrates to stimulate bacterial flora and accelerate growth. BioBizz Fish-Mix is an Organic Nutrient Fertiliser. It is an infusion of organic fish emulsion from the North Sea mixed together with extract of Dutch sugar beet. Fish·Mix™ boosts growth of all living organisms in the substrate, as well as improving and stimulating production of microorganisms and useful bacteria in every type of soil and coco-based substrates. Poor quality soil is transformed into rich and fat soil after a few days of use, providing plants with natural minerals. Following the requirements of organic farming, Fish·Mix has not been extracted with acids or stabilized with BHT. 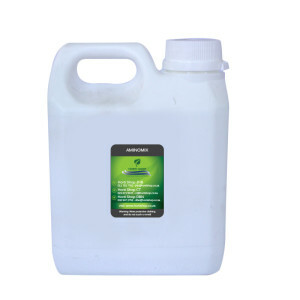 It is mild enough to be used in the first stages of a plant’s life or sprayed directly onto leaves during the vegetative stages of growth. 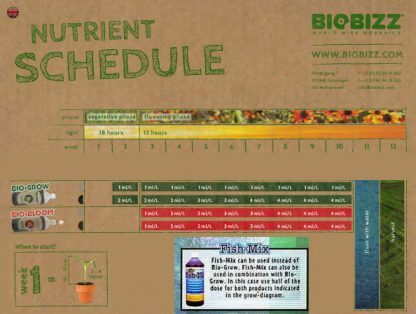 It is not recommended to use Bio Bizz in a Hydroponic system (NFT, DWC etc) or Aquaponics. BioBizz Fish-Mix is a complete, all-organic fertiliser designed for use with all soil mixtures. As one of the first organic fertilisers to hit the Netherlands, Fish·Mix has steadily built an international reputation as being an outstanding plant fertiliser. Even with today’s competitive market it is still considered one of the best organic products out there. With an NPK ratio of 5-1-4, Fish·Mix is primarily designed for use during the vegetative stage of growth, but can be used all the way through flowering and fruiting to encourage healthy green foliage. 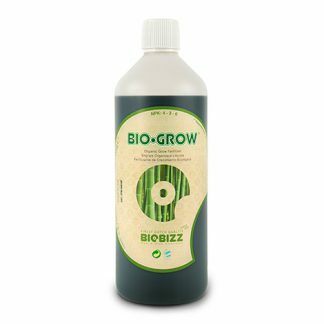 It can be used as either a soil drench or a foliar spray and contains no chemical additives whatsoever, just pure natural goodness. Fish·Mix is entirely derived from organic fish emulsion from the North Sea and Dutch sugar beet extract. As a large amount of this fertiliser is derived from fish, naturally, in its concentrated form it does smell rather fishy. However, once diluted into water and mixed up for feeding, the pungent smell does diminish slightly, and providing you have adequate ventilation / odour control inside, you can safely use Fish·Mix inside as well as outside without running the risk of overpowering your growing environment with the smell of fish. Fish·Mix works by boosting the growth of beneficial organisms in the soil, which in turn increases the available nutrients and helps to accelerate the growth of your plants. It can be used to replenish old or poor quality soil with microbial life and can be used to ‘fatten’ up soil, stimulating microbial activity. 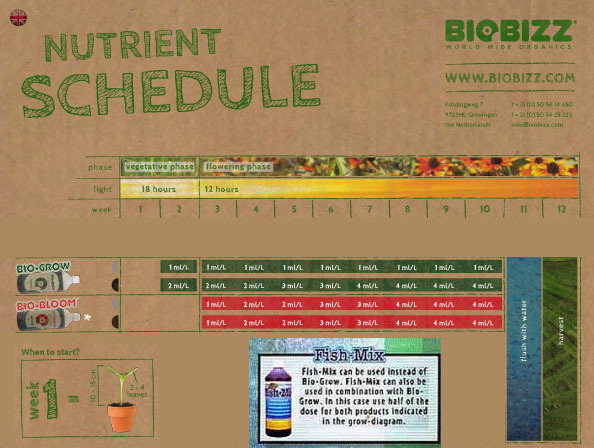 Organic growers tend to choose from two main growth feeds, BioBizz Grow and BioBizz Fish Mix. Both are great at stimulating biological activity in soil and encouraging healthy growth and development. We highly recommend Fish Mix and the only real downside is the pungent odour. If you intend to use Fish Mix indoors just make sure you have good ventilation / odour control. Overall, Fish Mix is one of the best organic products out there.